As you many already know I’ve been feverishly reading and researching Thomas Seymour for the last year or so. Awhile ago I came across this book on Amazon and realized it would have a lot written in it about Thomas and so I had to have it. I read this awhile ago and wrote the review but for some reason never shared it with you – so here ya go! Elizabeth Tudor’s relationship with Thomas Seymour was most complicated. Seymour married Kateryn Parr, her step-mother, not long after the death of Henry VIII. Little did Kateryn know but Seymour had previously proposed to Elizabeth via letter and was turned away by the young princess who said she need time to mourn the loss of her father. 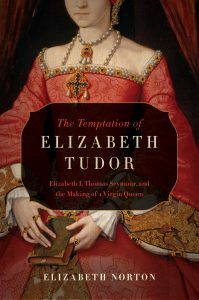 In this book, Elizabeth Norton does a superb job turning her research material into a marvelously told story about Elizabeth in her teenage years and the things that formed her into the “Virgin Queen” she would later become. Thomas Seymour was not a perfect man, I’ve said that before. In this book I feel Norton did a wonderful job explaining all the events that led to his downfall and has all the sources to back it up. As someone who is researching Thomas Seymour I was so pleased with how she told his story. If Edward Seymour, Lord Protector had allowed his brother more titles and power from the beginning maybe Thomas would have lived a longer life. The part that I enjoyed the most was when Kateryn Parr gave birth to their daughter Mary. Kateryn would later complain that Thomas rushed her doctor out of the room before she could speak with him and that it was his fault that she was dying, but in all actuality he was an excited father who merely wanted to see his child. That is something we don’t often hear about when it comes to Thomas. If Thomas did not love, or at least care for his wife, the dowager queen, he would not have stayed with her, holding her hand and laying with her in bed to soothe her troubled mind in her final days. This book does a great job showing us the mind of young Elizabeth and how, in her teenage years, she was smart enough to know when to speak and when not to. These would be her formative years on how to become a marvelous queen. 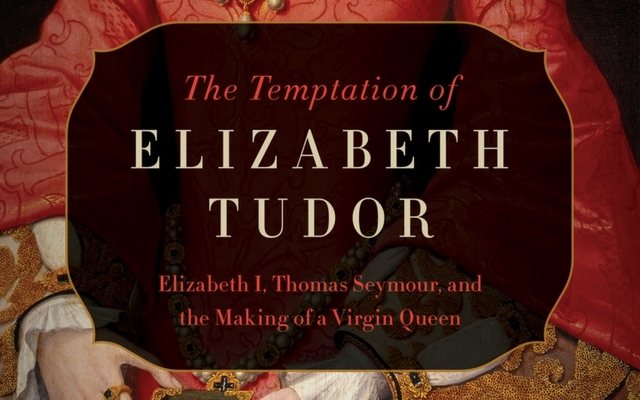 If you’re a fan of Elizabeth, or even Thomas Seymour, I’d highly recommend this book!